For 2009, the Jeep Compass gets more sound insulation in the engine compartment and floor, as well as revised suspension tuning on the Sport model for a more comfortable ride. Jeep's UConnect Tunes and UConnect GPS systems are also offered for the first time. 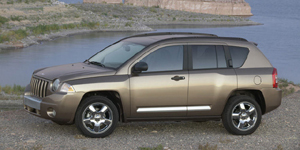 Find the used Jeep Compass of your choice from a dealer in your area. Search our used car listings now.